Employee selections are popularly done through job interviews where the applicant and the representative of the organisation get involved in conversations. The interviews varies from structured to unstructured formats of questions. It is normally considered as section preceding the hiring process. It is also considered as one of the most important tool in evaluating a potential candidate. Besides that, the candidate also gets to know corporate culture and demands of the job. Sometimes more challenging job positions require multiple rounds of interview sessions. Modes of conducting interviews are most commonly telephone, single to single or facing a panel and recently video conferencing. Opportunities for interviews often get posted in newspapers, job fairs or through networks. Whatever be the mode, there are certain elements in the job interview that you need to be aware of. The employer would be evaluating you on variety of levels. As you are going to attend interview it’s better to organise your resume or CV, originals, certificates, projects, samples of your work, copies of reference. Make a list of what you need and keep them organised into a file. Label them appropriately to be able to show when required. It saves a lot of time as you won’t need to sift through them. Otherwise it will give an impression that you are generally disorganised. You could also carry a scanned set of copies, your presentations, your projects etc. in a flash drive. As most of the work places have compatible systems, they can easily displayed if required. As saying goes, ‘The first impression is the best impression’, prepare yourself to get the right outfit which is clean and pressed but suited to the current style. Though the sense of dressing style does not bother much, it’s the way you present before them. Male candidates need to be clean shaven or trimmed up, while female candidates need to use less makeup. Use light colour dresses and wear shoes. Grooming do have a big impact on the way you present to the employer. The first 30 seconds of interview decides the rest of the session. The introduction is the key element to any interview. Greet the employer with a smile on your face making eye contact and give a firm handshake. Project an enthusiastic, professional look from the beginning itself. This is done through display of self-confidence, warmth, and promptness in answering. The main aspect of attending interview is to judge the way you speak and understand. Communications, being an important part of everyday work, is being judged by your body language. Body language constitute how you shake hands, sit, facial gestures, way you speak, voice, tone, hand movements, leg position. To get attention on what you intend to say, you need to smile often, maintain eye contact, sit straight, have less hand gestures and keeping your tone in level. Most of the companies have their own format for candidates to fill up information. Read through the directions before filling so that it is neat and completed before submission. Fill up education details and previous work experience accurately. Don’t leave any space blank. If you are not having any answer then indicate with N/A. Be truthful in your application as employers look closely at the way it is filled and what information is provided. Getting acquainted with the company before attending interview is best way to make an impression. Though there are various ways to know about the company, the easiest way is to review the corporate website. Research about the company by reading about the recent changes and trends that has been going on in the company through their newsletters published on their sites. This could be demonstrated while being questioned about your career goals. At that moment you could show your interest by getting to answer them by connecting your goals with what you have learned about the recent changes that are to come about. By aligning yourself with the company’s vision is one way to get that point straight. By keeping up to the scheduled time you impart a message that you are always abide by the time. Being punctual is a good quality of a hard worker. It also shows that you manage your activities and know how to prioritise your time. Moreover, arriving early allows you to complete other paperwork that is necessary for the job. If your interview is outside your residence, make arrangements to reach there at least 8 to 10 minutes in advance. You could also know how to approach the venue to avoid traffic hindrances. Listen carefully to what the employer intends to ask and then answer accordingly. Don’t deviate from the topic. When you are posed with a question, take a pause to think what the question is, to answer appropriately rather than jump ahead. You could rely on the research you had done about the company to connect your answer. Most of the time employers would be interested to know how you would contribute to the progress of their company. So you need to focus on the skills you have and answer such that your skills would help in bringing about the changes they are looking for. Most of the companies involve a single interview session or with a panel of interviewers. The panel could range from 2 to 6 or 10 depending on the complexity of the job. Sometimes, the interview is held on one to one at different slots of time with 5 or 6 different categories of personnel of the company in a single day to get an all-round review and feedback. Be what it is, you just need to be confident. You need to be aware that all interviews are a question and answer session. Though the questions are asked in different styles or formats, there is common consistency to the typical questions. Answering should be such a way that employer should feel why you could be an asset to the company but not why you need the job. If you are posed with a broad question, then fill in with specific accomplishments that will showcase your abilities that may help to succeed in the position. Include your background and qualifications that will fit the job specification and qualify you to the position. Use examples whenever possible to demonstrate your abilities. By asking questions related to the job duties related to the position is one way to take part in the interview. You could prepare yourself with questions that you intend to gather other than salary and benefits For Example about the job, training if any will be provided, about the timings, about the number of days that you can take as leave during year, any HR related aspects. Prompt the employer by asking meaningful question that could lead to a open dialogue with them. Having a two way communication between yourself and the interviewer will allow you to understand the challenges and opportunity that is present for the job. Employers also evaluate the applicants based on the type of questions asked. Most of the hiring decisions are decided on how the applicant gets along with the employer during interview process. It’s all based on how clearly you speak, how you respond to their query, whether you listen well enough and whether you show interest. For Example when the employer puts forward a question or request for some details you must provide the necessary details or comment on it, give a nod and a smile. This reaction shows your interest. Most of the time the end of the interviews are occupied with ‘expected salary’. You can show interest in the job by suggesting that you are interested in the work that company offers saying that you like to work for company that treats fairly and looking towards a good offer. If you get what you expected you can confirm you acceptance. But if you are still doubtful, then you could ask a day break to give in your decision. On any account do not refuse the offer that has been given until you have given enough time to think about it and discuss with your mentor. 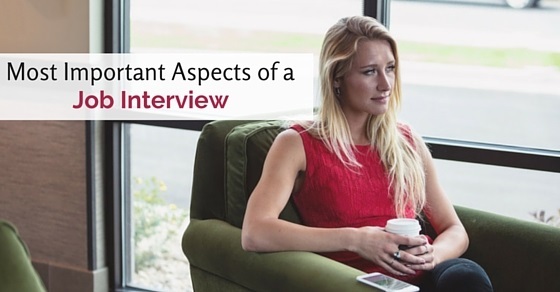 All job interviews are conducted with ‘n’ number of interviewees. The decisions are not made immediately. To get follow-up with the employer, you could ask them about how to contact them further. Before leaving thank them again with a handshake and request for certain timeline, like one or two day, for giving your consent. Job interviews are session which intimidates a person to look, sound and act their best. By looking professional and exuding confidence, you are sending message that you are a strong candidate for the company. Preparing in advance for interviews is one of the best option to make a good impression. So prepare well and best of luck!